At Gold Tone, we recognize that the most important part of music is the players. That's why we will be featuring bios on different artists who love and play Gold Tone instruments, showing off their music, and showing notable tour dates to foster growth in the musical community. Libby DeCamp is a rising star who approaches folk and roots music in an interesting way. Out from the quiet orchards of Romeo, Michigan, Libby DeCamp has spent an adolescence in close companionship with bodies of music and literature, among hinterlands of horses and history. 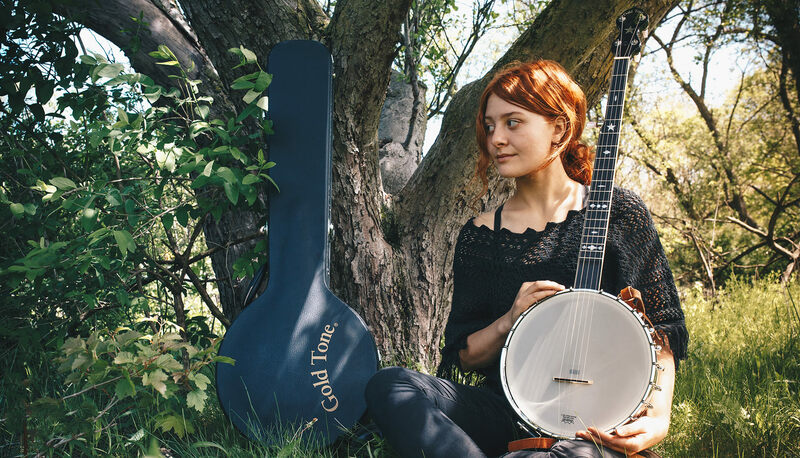 Driven by a will to connect on a raw, human level, Libby makes dusty folk and roots-inspired music with a lyrical edge, and delivers with a haunting vocal closeness that reaches listeners of all kinds. Her writing is born from fervent ties to both the American condition and tradition, daring to mark a space in the new era of the folksinger. Dabbling in an array of genres, the soundscape is captivating; innocently dark and best described as "Broken Folk". Speared by her debut six-song EP titled "Cross Sections", released in March, 2016, (following four years writing and performing in various folk groups) the 21-year old has rigorously performed both within her home state and broken into the national market with no time to waste, taking her show on the road extensively and often borrowing two seasoned brothers, Adam and Brandon Schreiber of Jack & the Bear. Grammy award-winning producer Oz Fritz notes; "The warm sound and seductive grooves of Cross Sections makes you want to listen, it draws the attention in…" Her works have scored multiple placements MTV hit shows, and continue to peak interest with spacial, provocative recordings. Becoming rooted in the Detroit, MI scene, Libby travels on, in preparation of her anticipated full-length debut album. "Cross Sections" is now available on all major music platforms. The OT 800 is a dream to play. I love how the tone is never sacrificed throughout the entire dynamic range. The low-mid projection from the tubaphone tone ring makes it ideal for solo accompaniment, which can be hard to find in a banjo. I feel wonderful knowing that it'll be recording or live-ready at any given time, with a sound that I'll love.